If you have a product code for your product and you want to activate it on a machine that is not connected to the Internet, you can activate it by email. 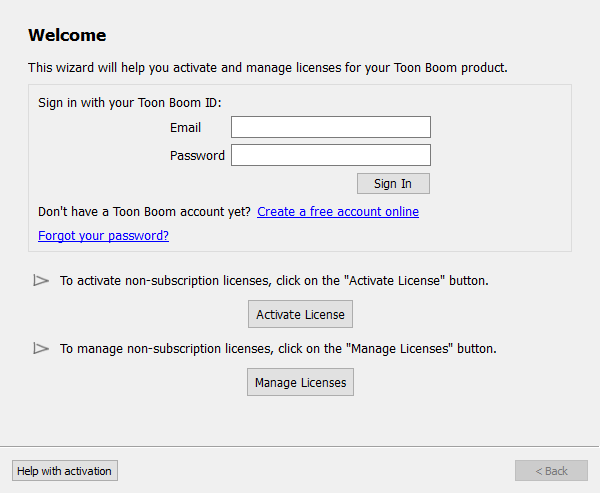 To do this, you can use License Wizard to generate an activate request, then use a computer that is connected to the Internet to send this activation request to the Toon Boom licensing department. If the request is valid, they will send you a license file that you can use to activate your product without an Internet connection. 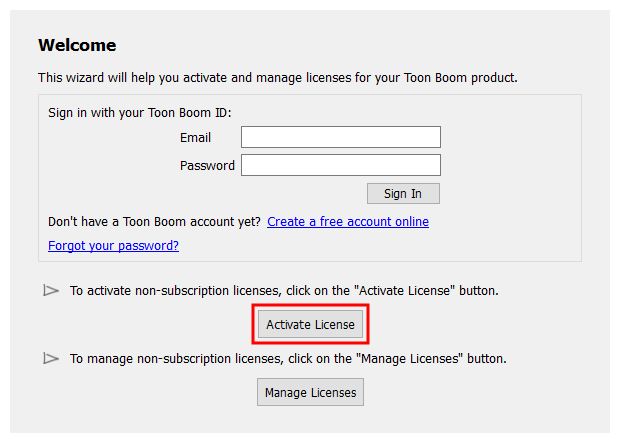 TIP: If you purchased your license via the Toon Boom store, you can obtain your product code from the My Downloads section of the Toon Boom store website. Launch License Wizard—see Starting the License Wizard. The License Wizard launches and displays the Welcome Screen. 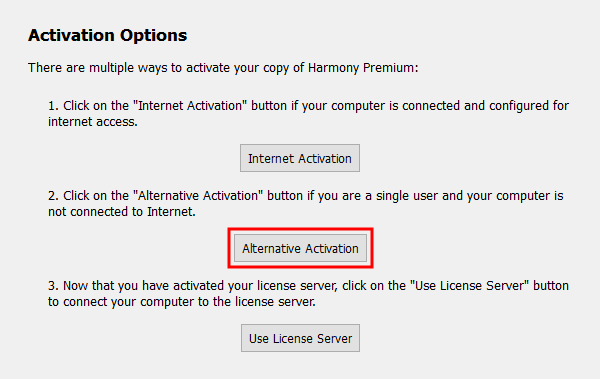 The Activation Options screen appears. The Email Activation screen appears. The Email Activation Options screen appears. The Email Activation - Single User screen appears. In the Product Code field, enter the product code you have received for the product you purchased. 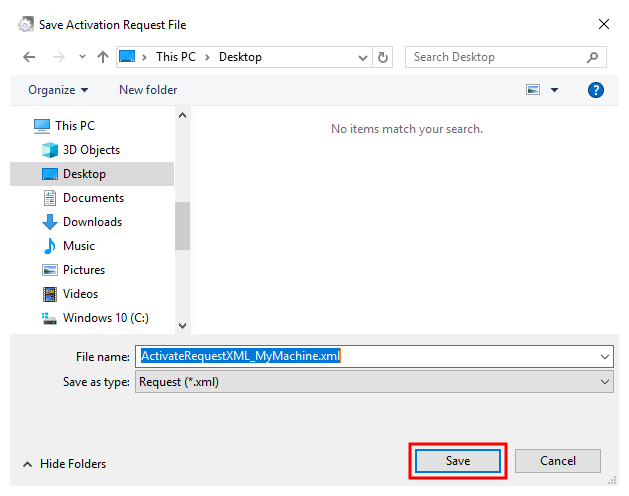 Click on Generate Activation Request to generate the activation request. 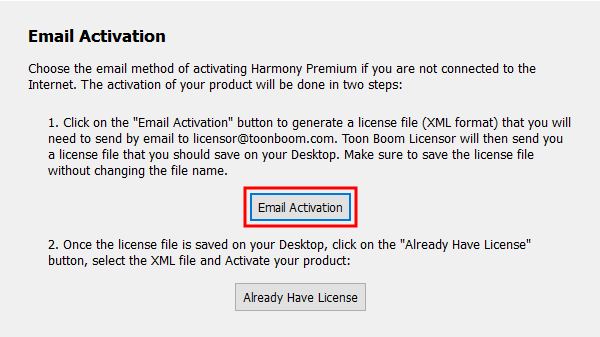 Click on Save Activation Request to save the activation request in a file that can be sent to the Toon Boom licensing department. In the Save dialog, browse to the location where you want to save your license request, then click on Save. Click on Finish to close License Wizard. 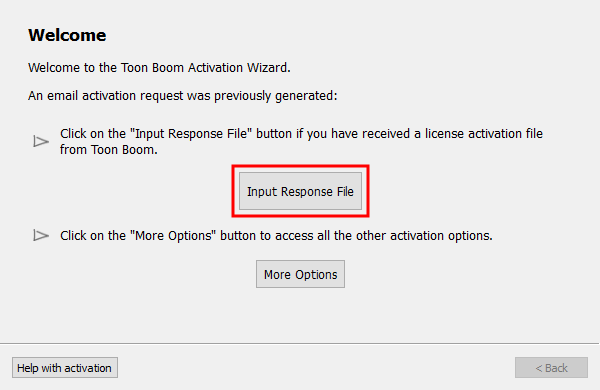 You will now need to send the license request file to Toon Boom by email. If your machine has no internet access, use a removable storage device to move the request file to a machine that has internet access. In an email client, write a new email and add the activation request to it as an attachment. Then, send the email to desk@toonboom.com. Wait for the response. You will typically receive your response within one business day. The response will have a license file attached. Download this license file. If your product is on a different machine than the one you use to send and receive email, use a removable storage device to move the license file to the machine on which the product is installed. On the machine on which you installed the product, launch License Wizard again. The Welcome screen appears. This time, it will prompt you to follow up on the email activation. Click on Input Response File. 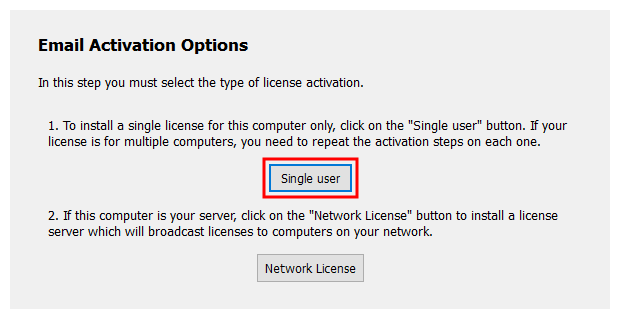 The Complete License Activation screen appears. The Select License File window opens. 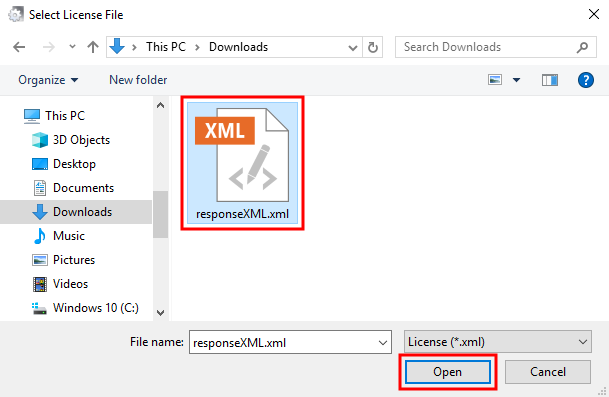 Browse to and select the responseXML.xml file you received by email. Click on Activate to process the response file and activate your product. Congratulations! Your Toon Boom product is now activated on your computer. Click on Finish to close the License Wizard. How do I register a license?